0.2.2 But seriously though, is the Leica M4-P actually any good? If I’ve had one small regret about the Leica M7 I bought, it’s that I bought a silver chrome one. I’m not sure it’s a serious regret, as I do think it’s a beautiful thing, but once in a while it does make me feel a little bit self conscious. It’s just a bit bling, and since it’s been summer and I haven’t been able to hide it under my coat as I did in colder times I’ve become a bit more aware of it. Sometimes I just feel like I’m carrying an expensive thing, and that it’s obvious to others that I am. I’m also prone to getting frustrated with myself for always having loaded a film I don’t want to shoot. This has the annoying side effect of me just not shooting any film outside of my comfort zone, as when I come to load it, I only want to load it with film I know I can use almost regardless of where it goes. The best example of this is having bought a roll of Ektar, my first roll of Ektar in fact. I bought it in march, wanting to shoot it in the Leica, but then didn’t shoot it until the end of July, on the day before I was expecting the Leica M4-P to arrive. This was pretty much down to the fact that it’s 100iso and I couldn’t get my head around shooting a whole film that wasn’t at least 400iso in the M7… What if I went somewhere that the light wasn’t good enough for 100iso film? What if I didn’t finish the roll on an outing, I’d be stuck with a roll that was out of my comfort zone in my default camera. A stupid mindset I know! Anyway, long story short, it was clear for a while that a second Leica M body was on the cards. But before I could buy one I needed to make the difficult decision about which one I wanted. The first thing on the list of requirements was that it needed to be black, with a silver chrome M7 that felt a bit bling, I didn’t want another silver chrome body. The second sticking point was that it needed to be relatively inexpensive. Anything with a black paint finish was therefore off the cards. This basically ruled out everything pre M5. I also couldn’t afford another M7 or and M6 for that matter, so they were out. This left M5, M4-2, M4-P, and the CL. The CL, for budgetary reasons being at the top, but at the bottom for form factor. The M5 was interesting; I like the sound of the meter and it sounds well designed, but again the form factor put me off. I really like the shape, size and design of the “standard” M bodies. The M4-2/P were probably the most interesting but looking to be going for a bit too much cash. 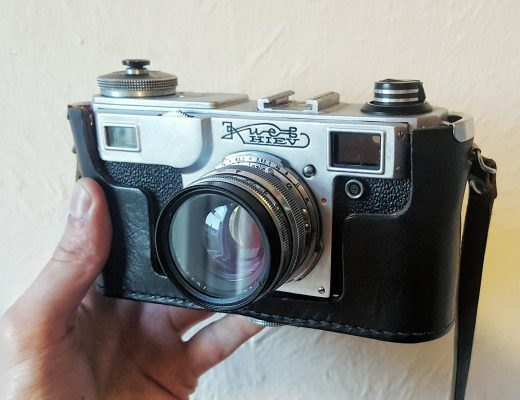 That was until I saw a pair of M4-P’s on rangefinder forum; a tatty one and a good looking one. A deal was done for both, allowing my mate Alex to have one too… Because of this, they came at quite an attractive amount money. I thought a lot about an M6, and whether or not I should just save a bit more cash to get one. But quite often it occurred to me that whilst having the built in meter was nice in some ways, in others it was just going to make me want for the M7 when using it. The argument for having an M6 over an M4-P is always “just take the batteries out” but that’s not an elegant solution to me. Spending up to and possibly more than double what I paid for this M4-P on an M6 just to use it without batteries in struck me as a bit silly. What I really wanted was either another M7 or a complete departure from it i.e. something that takes no batteries, something that is completely manual and something that has near zero chance of failure, ever. I did argue with myself a little bit when it came to this particular GAS hit, as of course there is a iiia on the shelf for completely manual shooting if I want it. But whilst the Barnack cameras are lovely things, they are no M Leica to my mind. 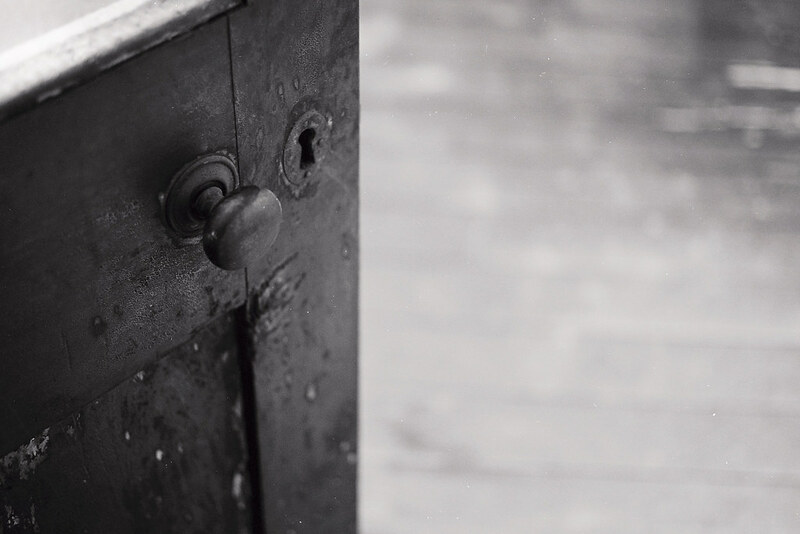 And I really feel quite an attachment to the M Leica’s since the relationship with the M7 bloomed so strongly. Unlike with most camera purchases, on this occasion I’ve had the opportunity to experience and play with two of the same camera. Whilst the camera that Alex has had is a little more tatty, I’m told that is was serviced around 4 years ago by Sherry Krauter. My one was apparently kept in good order by the previous owner to the chap I bought it off, though hadn’t been serviced in at least ten years. To my mind there is a marked difference in how smooth the cameras feel. Mine feels very nice, Alex’s on the other hand feels as buttery smooth as I could imagine any Leica feeling. It might look a bit beaten up, but that is a lovely camera to use! It’s not that mine isn’t, had I no comparison I wouldn’t question the condition of mine at all, it’s just that Alex’s is that little bit smoother. As I said, I went for the Leica M4-P over the M6, mainly for cost reasons, but also for the departure from any reliance on batteries, but why not buy an M4-2? As you do, when researching a purchase, I did a lot of reading online before I got to the point of buying this camera. There seems to almost be two schools of thought, or at least two ways of regarding the M4-P. The first lumps (to be unnecessarily derogatory) it in with the M4-2, the second compares it more favourably with the M6. To me it seems the comparison with the M6 is a more fair one, at least when it comes to buying one now. The criticism of the M4-2 seems to revolve around the fact that it was the first camera to use precision machined internal components rather than the picked-by-hand and adjusted brass components of before (M3, M2, M4 etc). This was a cost saving exercise that may or may not have caused issues for early M4-2’s; supposedly teething problems meant that some of the early cameras were apparently not up to scratch. If there were indeed issues, they were seemingly resolved by the time the M4-P was released. The M4-2 was also subjected to other cost saving production methods including use of more cost effective materials along side the most cost effective production methods, this was all done to produce an overall cheaper camera. And then there is the M6, which but for a zinc top plate seems to be essentially the same camera as the M4-P with the addition of the light meter. The M6 still used the precision parts over the brass ones and is still made using some of the cheaper materials, yet the early issues and cost saving measures of the M4-2 only seem to be associated with the M4-P and not the M6. Other than the meter, the only major other difference between the M4-P and the M6 seems to be that main production of the cameras was moved back to Germany. But since, as I understand it, unless you are a collector or a xenophobe, buying a Canadian Leica makes no difference over buying a German one, that factor is largely meaningless when It comes to actually using the camera. It’s seems to me that the crux of the M4-P’s problem is purely it’s lack of meter. Most people looking for a meter-less Leica would probably choose an earlier model rather than go for the piggy in the middle – not quite a classic, not quite an M6 – M4-P. What this all means, in a roundabout way, is that to my mind, a good M4-P actually represents a bit of a bargain. Of course you could argue that they neither have the charm or design style of an early Leica or the functionality of a late one. But I prefer to take my rose tinted “bargain” viewpoint! On the subject of the design style of the M4-P it is probably fair to say that it’s not the prettiest of Leica’s. The “leitz” red dot on the front left is the most brazen of all red dots, a massive shinny thing it is, it doesn’t give anywhere nearly the same sense of quality as the one on the M7 does. 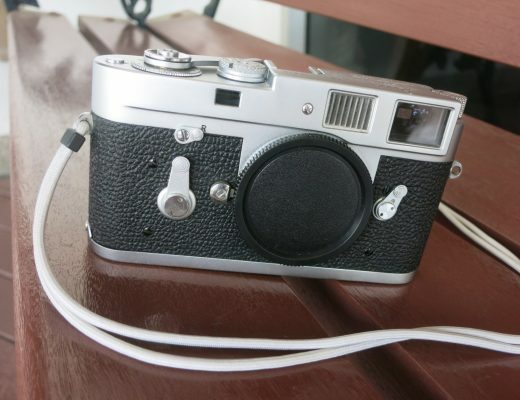 It then has “Leica” and “M4-P” plastered across the front and “leitz ” again on top, all in white paint. The “P” in the moniker is supposed to stand for “Professional”, this same “P” was used on the M9-P. But unlike the M4-P the M9-P goes for very much the understated look. I think it’s a shame they didn’t make the same choice for their 80’s “Professional” model, though I suppose “understated” and “1980’s” don’t often share the same sentence … One way or another I’ve decided to dull the look of mine somewhat with bits of black electrical tape. One of the biggest factors in buying a black Leica for me was to be and feel more inconspicuous, big red dots and bright white writing are not the first thing I’d choose when going for that look. But seriously though, is the Leica M4-P actually any good? All this rattling on and I still haven’t said anything about how good the camera actually is. The fact is, there isn’t a great deal to say about it. It is pretty much just a very functional tool. A shutter, with a button to trigger it, a dial to change its speed, a lever to reset the shutter and advance the film, and a viewfinder with a mechanism for focusing; it has very little more than the basic requirement. And it does all of these things, as you would hope, very nicely. There are complaints though, some I share, others less so. One of them is about the cluttered viewfinder; some people seem to have issue with too many framelines, I can’t really comment on this as it doesn’t bother me at all. My viewfinder is bright and clear and I don’t find framelines distracting so I’ve no issues there. Although, I seem to have to wipe it to keep it clean and bright more than I do with the M7’s VF, maybe it’s a coating thing? Or maybe it’s been hotter and I’ve had sweatier fingers? Either way, thats not an issue either! One minor failing of the viewfinder is that rangefinder seems to flare out sometimes, though again it seems some find this more an issue than others, I just move the VF off centre to my eye which despite reducing the distinctness of the RF seems to solve the issue of being able to focus. 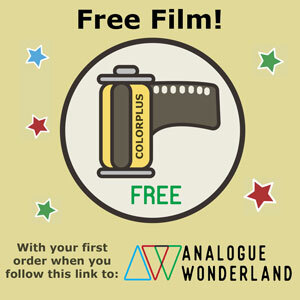 There is another slightly low quality part… It doesn’t, thankfully, have the crappy plastic control dial the the M7 has on it’s back door, instead it has a pretty crappy disk you are supposed to mark with a pen to indicate the film inside. If I can ignore the crappy plastic thing on the back of the M7, I can ignore this disk. I do have one other personal issue with my Leica M4-P, and that is that I don’t find the shutter button feels as responsive as the M7’s. It just feels like it needs a bit more of a push than I’d have liked. I might try a soft release on it, I suspect that will solve the issue. And really, I think it’s only my being used to the M7; a shutter that is different rather than better. What else is there to say? Nothing really, the Leica M4-P just a solid feeling well functioning tool. And I think that’s my conclusion really… Due to it not really being a classic, and not having the lightmeter of the closely related M6, and due to the fact that it was made by Canadians and not Germans, and due to the fact that it gets most of its reputation from its near-name sake the M4-2, and due to the fact that it’s not as pretty as many other Leica’s … and breathe … It’s not hailed as anything special, and actually I tend to agree, it’s not special … but it’s still a Leica. It works like a Leica, feels like a Leica in the hand, and if you peel the black tape off it couldn’t really be any damn clearer that it is a Leica … But yet somehow it doesn’t feel quite as luxury as my other Leica’s; where the M7 oozes both “luxury” and “tool” with every millimetre of itself, the M4-P feels much more of just a tool. It’s not that the Leica quality doesn’t feel present, it’s just that it’s basic function overrides the glamour of its name. Maybe Leica felt the same about it, maybe that’s why they felt the need to emblazon “Leitz” or “Leica” on it no less than four times, just so people didn’t forget … And indeed maybe it’s why I feel the need to cover their handy work with tape. I have two M6s (.85 and .72). It was my dream to own one, then I bought another in order to switch back and forth between 35mm and 50mm FL ( change lenses? no, just bring two cameras!). “Tool” is the proper description. I didn’t buy it to flaunt the red dot. I bought it to enhance my understanding of light and improve my composition. I’ve shot film since my AE1 days and nothing beats it. I’ll take the aesthetics of a soft lens and grainy image over a tack sharp digital file any day. Just to clarify the M6 doesn’t need batteries to operate. The camera is fully mechanical, the battery is just for the meter, unlike the M7. As for people buying cameras for a red dot, I’m not commenting on that either, I’m just talking about how I feel when I use a Leica. Again, more in the M7 post. Good article Hamish, very interesting to see your view point on these cameras. Oh and I totally get what you mean about loading a film in and then not shooting with the camera because it doesn’t seem like the right film for the job at hand. 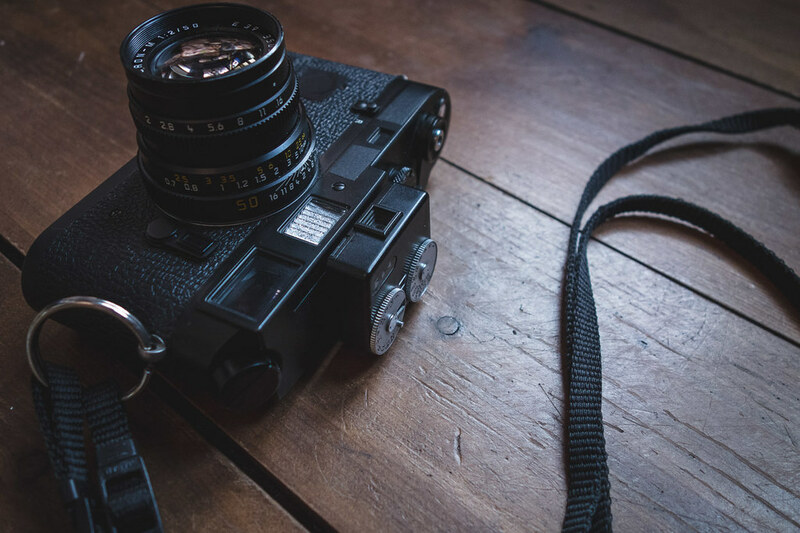 Interesting piece, after buying/using/selling an M2,3,4,4p,5,6, MP, cl, Minilux,cm,lllf,lllg, R4,6,8 leicaflex SL am I forgetting one…I recently bought again an M4…If I were to pick my favorites; M4, M5, lllg, CM, Minilux, in that order…funny thing is that the camera you use will make a difference on the result or at least I think so or want to think so…in any case the lens you use is a lot more important than the body. I’d love to think that the camera had no affect, but I think it does … I’d started a post about cameras and mood some time ago, I might resurrect it. I own two M4-P bodies (one for fast film one for slow). I keep a 35mm summicron on the main one I am using and a 50mm that I never seem to use much. I work primarily in street mode, walking in all of those famous, inspired footsteps (Frank, Winogrand, etc.) trying to make sense of the world I see. The M4-P is an extension of my thoughts after owning and using it regularly for almost 20 years now. The shutter is very sensitive and I feel no lag, no hiccup between the thought and the click – I think this is because I never owned a different leica and I do not have to adjust my behavior. I have friends with M7, M9, etc. I have held and dry-clicked them. What to say? I love my M4Ps and I would not trade them for anything. It is indeed correct to describe them as a simple tool, bare-bones, nothing flashy. I like that humility, that zen simplicity. Great article. Just out of interest, do you also cover the Leica branding on yours? that is a great question. when I am in Moscow (where I live) I do indeed cover it up. I am already scared to have someone (including one of the police) take it from me. You know, it is so small and as the viewfinder is on the side as opposed to on the center, a lot of people don’t even think it is a camera. (seriously, I have had people ask me what it is in the street). when I am in NYC or the US, I do NOT cover it. I have found that people in the street there understand I am a serious person then and the little red dot may be part of what wins them over. the red dot = not an amateur to them, so it is (possibly) some kind of honor to be a worthy subject for someone with a leica around their neck. i may be totally guessing but anything is possible. I know that Frank and Bresson taped theirs up. Winogrand did not. I think of Joel Meyerowitz and he did not. I actually got to work with Joel on a film he made about his father who had alzheimers – just some pick up shots of him driving around, but i got to spend a few days with him picking his brain. he had some really good advice for me as a young guy trying to figure out how to make money and then not get swept up in making money and still create personal work. Its funny how the covering of branding alone has different implications or reasons behind it for different people. For me, it is an inward thing. M7 blingy M7 and covered M4-P both differ in their effect on me when I shoot them … Though maybe I think about it too much?! Have you read this – my thoughts on the “tool”, id be interested to hear yours. Did Meyerowitz’s tips work out well for you? Thx again for your comments re. This issue and thanks for just getting it. Thank you for your comment, and thank you too for getting it! Paul – I am definitely in sync with your comments. I have some answers on this thread already, but shortly, I own two m4P bodies, a 35mm summicron and a 50mm summicron and there is just nothing more I could ask for or need. I am a filmmaker, so taking meter readings with my trusty minolta digital IV meter is nothing new to me. I take readings in the bights and shadows and then just do things by eye, so all I do is look and frame and shoot – no fussing with adjustments. I shoot only 2 stocks – tri-x 400 and delta pan 100, which helps me know my ratios and what to expose for. I love the utter functionality of the m4p and the viewfinder holds no issues for me. there is a leica (or a contax, etc) for every photographer – it is not that one is best, but the m4p is simply a part of my life, an extension of my arm and the only big problem I have is deciding which body to use. I keep one for the tri x, and one for the delta 100 so I am ready to shoot day or night without pulling the existing roll out. Hamish, you are right – we should start an M4p society! we can call it “no frills, just the good stuff”…. Hello, I am Shane and i must say this was a brilliant article. I am currently looking into buying my first Leica and have actually been debating between the M6 and M4-P. 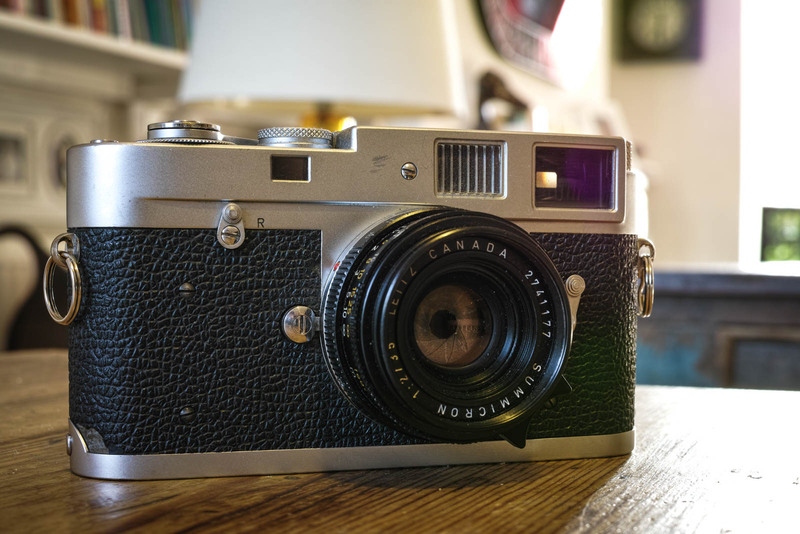 Unfortunately I am a collector and am really particular about the whole made in Canada vs Germany thing but my biggest concern is this sort of idea that the M4-P respresents a cheaper kind of Leica. What astetically and physically (like holding the camera) makes this accusation hold any truth other than the lack of a meter? Likewise, you mentioned finding a sweet deal on a forum. Any idea where else one can find a deal on Leica’s that isnt the normal Ebay or Amazon approach? Have you tried Rangefinder forum? Just out of interest, why do you worry about Leica’s from Canada? Don’t forget, when Leica openend up shop in Midland, Ontario, a lot of engineers and designers from Germany went there as well. So a M4-2 or M4-p might very well be made by Germans. Members of the Leitz family used to live at Midland! I’ve owned two M4-P’s over the years with one purchased new when they came out. I just purchased another mint one to go along with my M2 and MP. I started using M’s professionally in 1968 and have used them ever since. During this time I’ve had 15 M film bodies and worked them hard. Some were new and some used. In the 60’s through the early 90’s I shot for many major magazines including Life, Esquire, Parade etc. My M’s and my Nikon’s served me well. Having owned many new bodies I clouding an M4, M4-2, M4-P’s and MP’s I can see little difference in quality, fit and finish as well as dependability. They are all first rate pro machines designed to work hard day in and day out. I won’t say they’ve never failed because a couple have. My first M3 DS in 1968 had RF alignment problems constantly. My new MP shutter failed about a year after purchasing it. Unfortunately I was covering a serpent handling church service in Kentucky when it happened. The good part is I had 2 other MP’s and shot mostly with the other two. 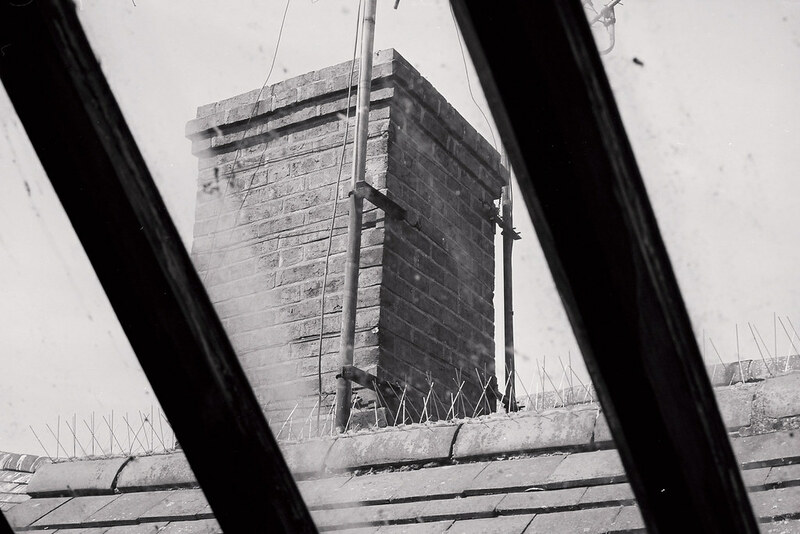 The shutter failure was due to not capping properly which caused bands on the film if I multi stroked the winder. You commented on the reasons why Leica put the red dot and white lettering on the front. I would speculate that Leica was aimed at the pro back then and very few enthusiasts carried such expensive cameras. Those of us shooting for a living didn’t care how cool we looked with our camera, we just wanted to get the job done. Now the world is different. I suppose that is my point … A pro wouldn’t care for all the logos, so why put them on there? As I say, I think it feels more a reflection of the brand…? I’d love to see some of your work, It sounds like you have had quite the career!? I too would join a Leica M4-P appreciation society. I love my pair with 28/40/90mm lenses plus an MD2 and 21mm f3.4 Super-Angulon (2nd of the five, now we are back to f3.4 again! I use the 28 a lot. Set focus on the Hyperfocal Distance method. I tend to keep my bag pushed behind my back and the camera in the large bellows pocket of a Barbour jacket. When I see my shot, camera comes out, shot taken and back in the pocket again in one movement. How do you find shooting with a 40mm and the available frame lines, David? Hello Hamish. The 49 mm f2 Summicron brings up the 50 frame (with little bits for 75mm) in the viewfinder. I’m aware that the lens will cover a little more than the frame, but make sure that the important bits of my subject are within the frame. I shoot Ilford XP2 and have my negs scanned to disk so that my pair of M4-P and MD2 are digital cameras. When I have a print made, the guy zooms to the part I want. Not a deal between 40 & 50, but having the lightweight 40 saves cost and weight over having a 50 and a 35. I do have a 50. Freind bought a Zorki 4K with Jupiter 8 50mm f2. Then he bought the Jupiter 35mm f2.8 and decided he did not need the 50, so he gave it to me. I put an adapter ring on and sometimes use it. Stopped down to at least f5.6 and on mono film, it ain’t bad. I mainly ask as I’ve been quite temped by a 40mm myself recently. It’d sit nicely on the CL for one, and the size does make it a very tempting option! I suppose you rate it as a lens? I guess this makes me member six of the fan club. Interesting that we all have two M4-P bodies each. I keep a 50 rigid cron and a 35 lux asph on mine. 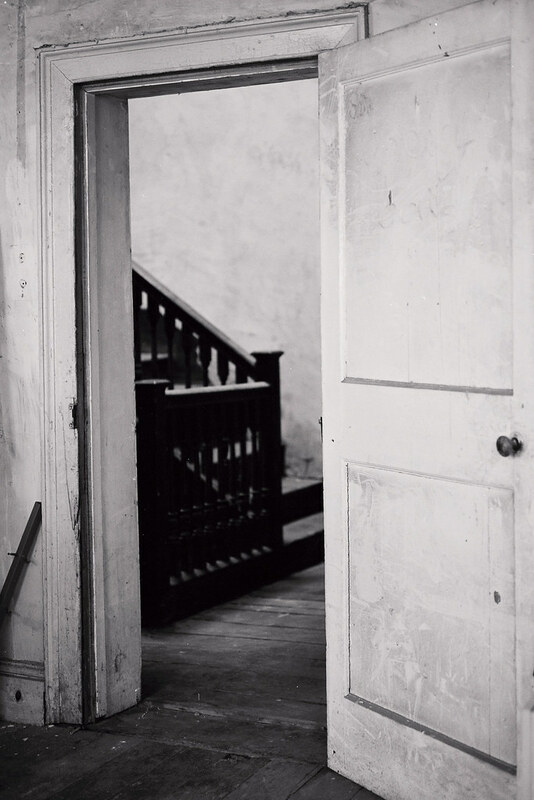 The 50 and FP4 combo are the most used, for a classic look. I keep Superia 800 in the 35 body, for shooting in low light. Usually gigs. I bought a MP4 some weeks ago, but haven’t used it yet. I saw it in a shop and left with 700€ less in my pocket, but that void wass filled with the camera. I was trilled to have my first M Leica (I have and regularly use my IIIc with a 50mm Sumitar). Then I came home and told my girlfriend that I had bought one…she wasn’t to happy…in her opinion it was to expensive and I should keep my money for other things. So it sits here, and is posted online on a local second hand site (Belgium) but it isn’t sold yet. 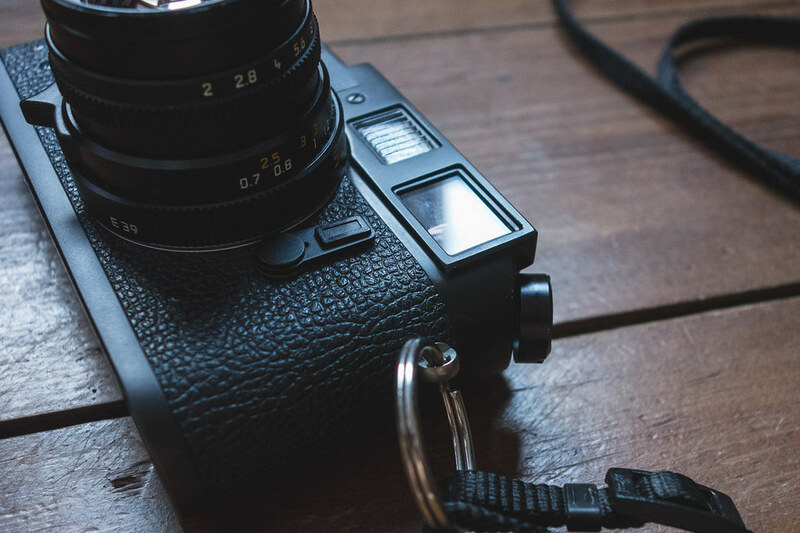 And I’m really thinking of just buying an LTM-M adapter and just start using it, and hopfully use it enough so that I can persuade her into keeping it…this article just empowers this thought. I might’ve just bought an understated gem. I think you probably have! You really should use it! Get that adapter and try it – I bet you wont look back! Camkitmate do a good ltm-m adaptor on Amazon for about €10. Make sure to get one meant for the 50/75 framelines! The collapsible lenses work great on the M4-P, quicker to use than the iii, though not quite as slim in the pocket. I recently discovered your blog and really appreciate the thought you put into your reviews. Out of curiosity, what lens were all these photos taken on? I love the rendering. If you tell me it’s your C-Sonnar, well, we’re getting very different results. i love the Leica m4-p, i used a friends not to long ago and my mind was made up. the price is part of the issue, but i like the feel for me. i hope i can find one around in decent condition soon…..these images are great, looking good Hamish, as always……..
Hammish, I need your opinion, stat! I local auction is coming up, in it a mint M4-P with 50mm summicron 2.0 (I think they said) with the light meter that fits on the shoe. . . . I shoot lots of stuff, if I went for it, would this satisfy the Lieca lust that resides in each of us? I read you post with relish and have been looking at all the info online, please tosh a coin and give me YOUR honest feeling. I still don’t have a T-5. 23 hours after contact, this is the first of a load of comments I’ve received over the last week whilst I’ve been on holiday that I’m replying to – and the only one I’m replying to tonight. Hope it’s not too late. I do hope Pieter Geloen uses his Leica M4-P now he has taken the decision to buy it. Although Leitz lenses, even secondhand are pricey, the Voitlander lenses are computed for range/viewfinder cameras and are very good regarding performance and build qualities. 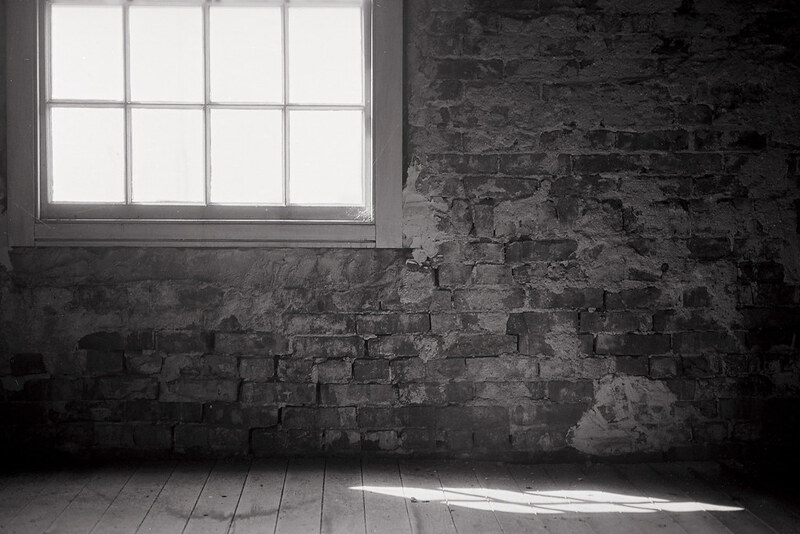 I borrowed the 25mm f4 Snapshot Skopar from a friend who had been using it on a Bessa L with plug-in finder. Its a damn good lens and very compact. It has a tiny lens hood and is far easier to put a M4-P in the pocket with it on than my MD-2 with 21mm f3.4 and hood. I enjoy every moment I use it, it’s always there, but never to much on the forground. I only have one lens for it though, a L-mount Summitar 50mm f 2 and I’ve gone back and forth on thinking to buy a 35mm (Voigtlander Color Skopar) but I have some other expenses I want to have out of the way first. I do feel that the M4-2 and M4-P are the bargains of the Leica M world. As an expatriate Canadian, I like that they were made in my native land also. Historically, these cameras saved the Leica M from oblivion, as the failure of the M5 to catch the public’s eye lead to cancellation of rangefinder camera production. With respect to the perceived “cheapness” of these cameras, at this point in time, the care and maintenance records of the cameras count for more than any manufacturing “flaws” that may be evident. For the record the earlier M4-2 runs kept the M4 type rangefinder with the condenser lens which reduced the whiteout effect of the rangefinder patch in backlighted situations. Then, midway through the M4-2 production the condenser lens was removed to save money. I’m not sure if that was the entire reason though. This change carried through to the M4-P, M6, and early M7. The advantage of the M4-2 from your perspective is that it lacks the big red Leica dot. That appeared only on the very last few M4-2, and the M4-P. The M4-2 have the same framelines as the M4, so the viewfinder appears less cluttered. When I decided to get a second Leica M to go with my M7, I decided to get an M4-2. I had it fully overhauled by Don Goldberg, who is a Leica expert here in the USA. Don told me that my M4-2 still had the M4 type condenser lens. Otherwise, it would have been a $160 upgrade to put it in. The camera feels different from the M7 in that it is heavier, due to the MR-4 meter that I have on it. But, it is smooth, and instinctive to switch back from one camera to the other. Sometimes I wonder why I need the M7, but I refuse to sell it. To anyone who is sitting on the fence, I would suggest that you should get a good M4-2 or M4-P, and even after a service you will still be ahead financially. You will not be getting a second rate product. Thanks for your thoughts Robert! 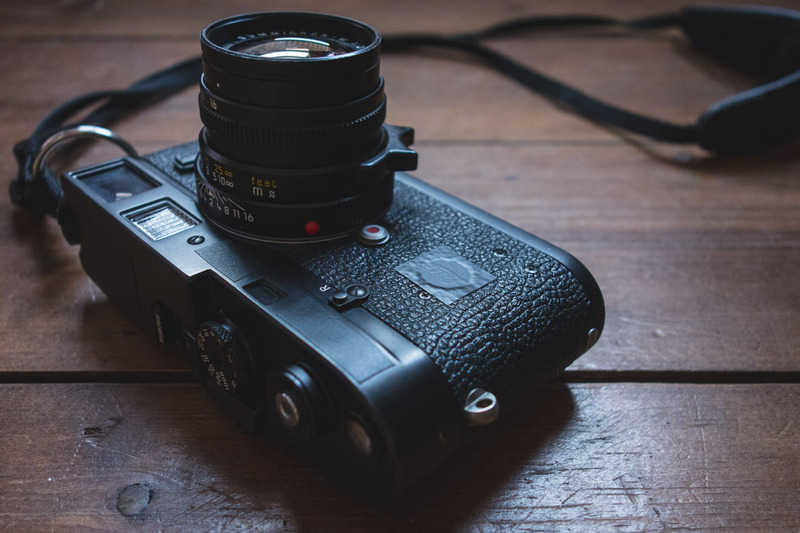 The M4-2 was my first Leica as it goes – I still regret selling it! I have a CL with the 40 Cron – I really enjoy it, but I have been contemplating an M. I owned an M3 with DR, 90 Cron and 21 SA back in the late 70s to late 80s. I’ve been fussing on which M to get – I like shooting 28 so an M3 or M2 are out. Thanks for this post, I’ll forgo the M6 and get the M4-P as I’ve felt its gut pull for several years now. Funny how that works. You’ll have to let me know how you get on! I’ve read this post (and comment thread) with great interest – hence my resurrecting it. A work colleague brought his M6 in to show me yesterday – the first time I had ever held a Leica camera. I put it up to my eye and saw what, to me, was the best rangefinder VF I have ever seen – I could focus without even thinking about it! I knew immediately that I had to have a Leica M camera. This morning, looking at various models, I came upon a M4-P on eBay with a reserve of GBP695, zero bids, ending in just under 2 hours. Feverish research ensued which led me here and to the discovery that there were no real differences, save the meter, between this camera and that lovely M6. There’s always a Sekonic Twinmate in my pocket anyway, so the lack of a meter means nothing to me. So thanks once again Hamish and all the contributors to this discussion. You’ve helped me to take the plunge and I suspect I won’t look back. Always good to read! I sold my M4-P, regretted it so much I bought another. I’m sure you will be happy together! !